We're here and we're happening. Wow, it really has been since 2011 that anyone has posted here. I guess so. Please allow me to take this opportunity to get it fired back up! We live in a new house since the last time I posted. We have a couple more children than we did since the last time I posted. Speaking of children, the kids are getting much bigger than they were when I started at the blog. Heck, I don’t even use the same email address that I signed up for the blog with, that was fun resetting my password. Up top is a video of Oakleigh walking with her alligator walker, and a few other pictures of the kids. She’s 10 months old now. 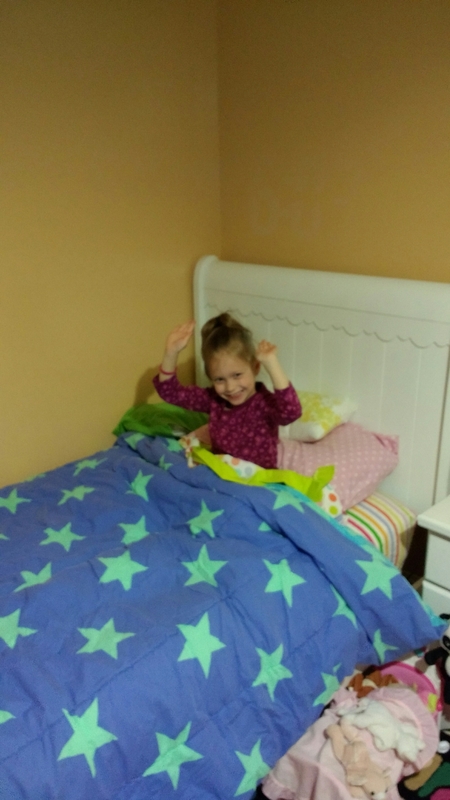 Olive in her big girl bed that she got for her 5th birthday. 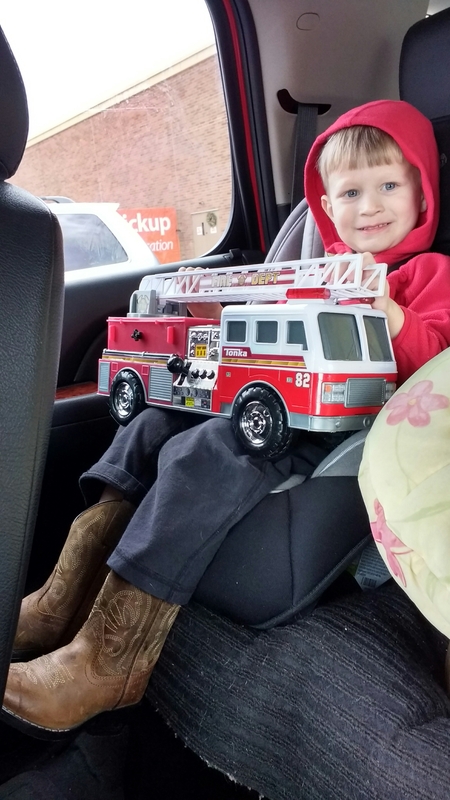 Owen in his cowboy boots with his favorite fire truck that Nana and Grampy got for him. He’s three years old now. This sweet gif of Emily unwrapping her Christmas gift. Tell her what she’s won Jim. A brand new electric dryer!! That’s all for now! Thanks for reading! Everyone here in NC loves you!